As smartphones replaced feature phones, battery endurance went in the gutter. And even after so many years, a day of between charges is what most people get – at least the people that don’t want to live with battery anxiety. However the data proves that battery tech has progressed greatly. In fact, it won’t be wrong to describe a modern smartphone as a battery with a screen and motherboard tacked on. We picked the Top 50 most popular phones from our database for each year and averaged the ratio of battery capacity to phone volume. In short, the chart below shows how many milliamp hours a phone has per cubic centimeter (mAh/cm³). As you can see, a 2017 phone has 7 times higher energy density compared to a phone from the year 2000. 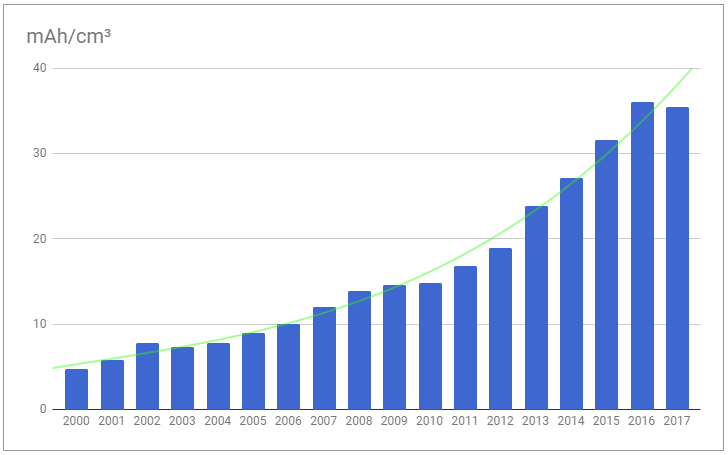 The green line is the trendline, which shows that the this ratio is growing exponentially. It’s true that phones have gotten bigger in volume over the years, pushed by ever-larger screens. But at the same time more and more of the internal volume is occupied by the battery. 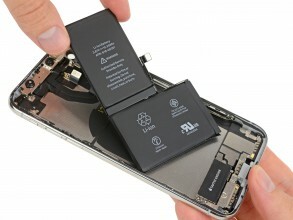 Apple had to use two batteries on the iPhone X to maximize capacity, while LG has been making stacked batteries for years to conform to the curved backs of phones at the time. Many (us included) complain when we see a thin phone with a small battery, but we have to give it to the engineers – they make the best out of what the designers give them. Last week we told you how heat limits performance and wished for active cooling. 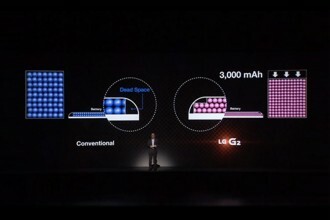 But that’s just a geeky wish, it’s pretty clear that even if cooling is solved, the next bottleneck will be the battery – graphics might run really cool, but what use is that when the battery dies in an hour.